During the 11th Swiss Innovation Forum in Basel, the project team behind the novel building technology Mesh Mould received the Swiss Technology Award 2016. 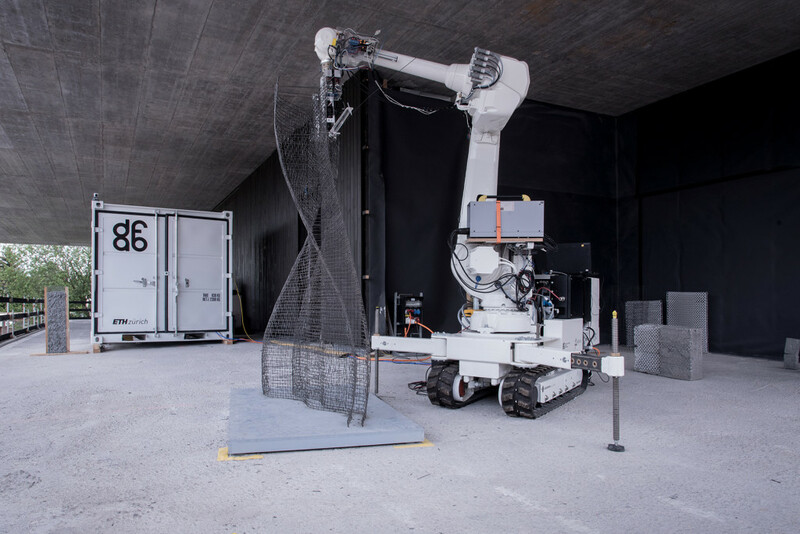 “Mesh Mould”, developed by researchers at ETH Zurich, allows for building load-bearing concrete elements of any shape without formwork. The building technology has the potential to revolutionise construction of steel-reinforced concrete structures through the combination of the two commonly separated functions of formwork and reinforcement in a robotic fabrication process. In short, Mesh Mould enables architects and engineers to build complex concrete structures without any additional costs. In addition, it allows for the saving of material and therefore contributes to a more sustainable construction.The project has been developed by an interdisciplinary research team of ETH Zurich within the framework of the National Centre of Competence in Research (NCCR) Digital Fabrication. All images credit NCCR Digital Fabrication. Each building that we construct today is being built twice: Once as formwork that gives the fluid concrete its final shape and once in the concrete itself. Especially in the case of individual buildings, the formwork can only be used once, before it ends up on the trash heap. This causes enormous material waste and immense costs. Norman Hack, project leader of Mesh Mould, and his five-person team of ETH Zurich worked intensively to resolve this problem. “We are very happy about the award that highlights the great potential of “‘Mesh Mould'”, says Hack. After being launched at the Future Cities Laboratory of the Singapore ETH Centre, Mesh Mould was transferred to ETH Zurich. At present, project leader Hack, PhD researcher in architecture, drives the project together with five other researchers from ETH Zurich within the framework of the Swiss National Centre of Competence in Research (NCCR) Digital Fabrication. For the development of the project, knowledge of researchers from the disciplines of architecture, robotics, materials science and structural engineering was needed, states Hack. 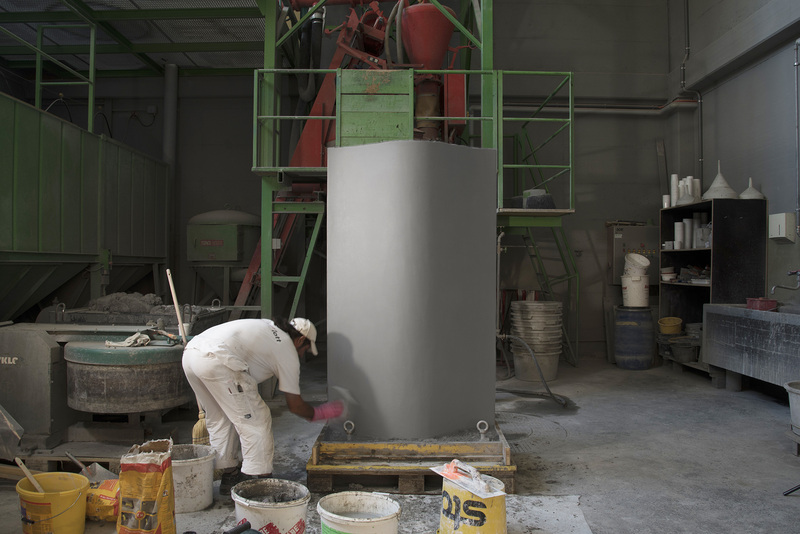 In close interdisciplinary collaboration, the research team developed the worldwide first technology which combines the two functions of formwork and reinforcement within a digital fabrication process. 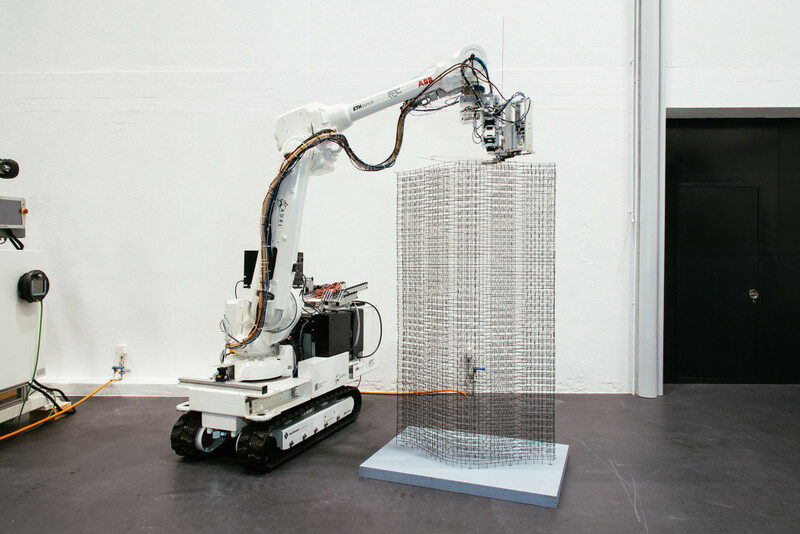 Firstly, a mechatronic end-effector mounted on a mobile robot fabricates a dense steel-mesh on the basis of a computational design model. In a second step, concrete is poured inside the mesh. Thanks to the dense mesh-structure and the particular concrete mixture, the concrete does not run out laterally. 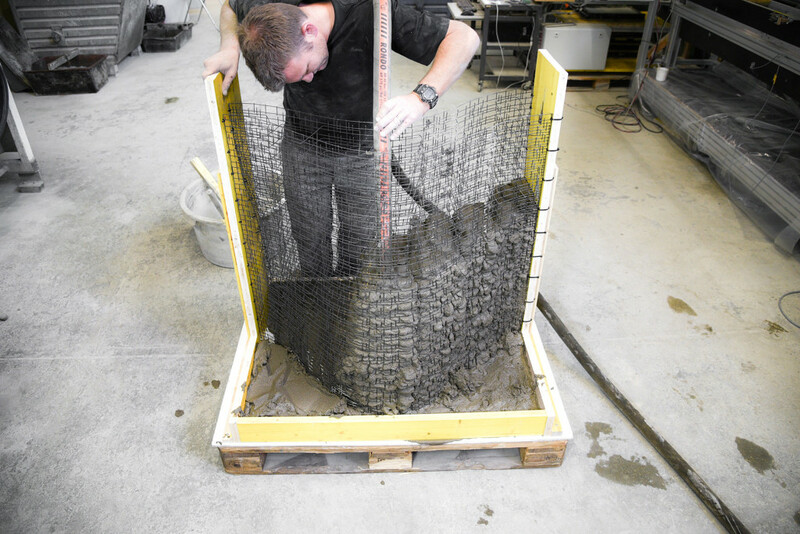 Whilst other digital building technologies, such as the 3D printing of concrete, are still struggling to find a solution for the integration of reinforcement, the steel-meshes fabricated with Mesh Mould are able to assume the functions of both formwork and reinforcement. According to Hack, Mesh Mould has big advantages for both bespoke and standardised concrete architecture: Whilst in the case of individual architecture, the great benefit of the new technology lies in the fact that no material- and cost-intense one-way formworks are needed, the advantage for standardised concrete structures is that the structures can be structurally optimised. Because of the standardised formworks, walls for example, today need to be built with a continuous thickness over their whole length. In contrast, the thickness of a wall built with Mesh Mould can vary over its whole length depending on the required load-bearing capacity of the specific sections. As a result, besides the formwork, also concrete can be saved. “With Mesh Mould, we protect our environment, are able to build at a lower price and enjoy unlimited freedom of design”, said Hack. In 2017, Mesh Mould will be implemented on the modular research and innovation building NEST of Empa in Dübendorf as part of the Unit of the NCCR Digital Fabrication. The research team is already looking forward to this first real-world application at 1:1 building scale. Project images can be found on the Mesh Mould project site.